Soon after the incident, the patients were evacuated safely by the hospital authorities to avoid any untoward incident. 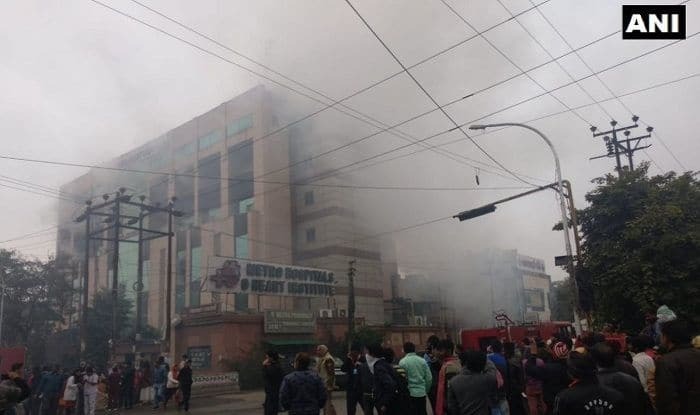 New Delhi: A fire broke out at Metro hospital in Noida, sector 11 on Thursday. At least six fire tenders were pressed into service to carry out the firefighting operations. The incident was reported from the third and fourth floors of the hospital. About 30-35 patients were rescued and shifted to local hospitals and the situation is now under control, said Vaibhav Krishna, senior superintendent of police, Gautam Buddha Nagar. The reason of fire has not been ascertained yet. FireFire broke out at Noida’s prominent Metro Hospital o Thursday. According to latest reportsMetro Hospitalnoidaseveral fire tenders have reached the spot. The rescuers are trying to evacuate the patients inside the hospital. More details are awaited.